How is it already nearing the end of September? And I've only posted a couple of times all month. It's back to the crazy reality of work + school + life (which includes parties, weddings, football, family and friends). 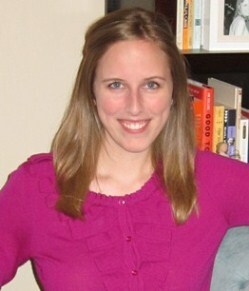 I am not complaining--just want to let you all know I haven't forgotten about the blog! 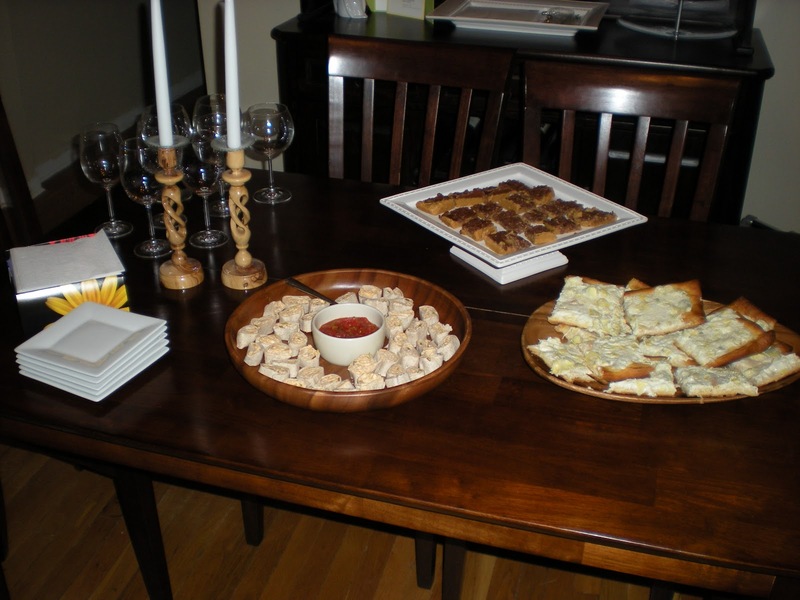 A week ago, it was my turn to host book club. 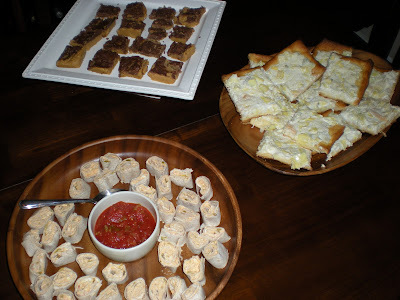 With everything going on, I felt like I had to throw the food together... and I was disappointed that I didn't have time to try a new recipe... and I worried I didn't make enough for our group of five. But you know what? Everything went well, and we had a good time discussing the book and other "current events" in our lives (like E's sabbatical to teach for a year in Africa and Mexico!). Just goes to show that worrying, over-planning, and being too hard on yourself doesn't help anything. I made homemade Reeses (that may have looked horrible and mushy, which was strange considering how many times I have made them in the past... but the peanut butter/chocolate combo never fails to taste amazing). Then I rolled up some Tortilla Rollups without measuring anything for the filling, and I gave the Artichoke Ranch Squares from my birthday party another try. A couple bottles of wine, and that was all we needed. As for the book, Heaven is for Real, we chatted about how most people are likely skeptical of the story but that it was interesting and inspiring to read. Coming from a religious background, I felt like I had more of a connection to the faith aspect of the story even if some parts seemed a little too closely and perfectly tied to scripture. Other people had a tough time believing the little boy had experienced heaven at all and thought the events may have been exaggerated. I was just glad that everyone felt open and willing to share their thoughts, even though anything related to religion can be touchy. It's one of those stories that is thought-provoking and reassuring in a way--for me, it reinforced that God is there for us, regardless of whether Colton really went to heaven or not--but it's also one of those stories that is what you make it. What you get out of it depends on what you bring to it--your background and beliefs and everything else. 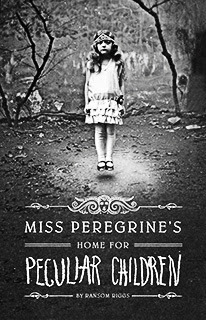 For next month, we'll be reading Miss Peregrine's Home for Peculiar Children by Ransom Riggs. Let me tell you--I started reading our latest pick last night and after about 40 pages, I was sufficiently creeped out (amazing how words can have that power!). Interestingly, it's actually considered a "young adult" reading level. As for the story... after listening to his grandfather's stories of the orphanage in which he grew up and later witnessing his grandfather's death, Jacob seeks answers and confirmation of the truth. A unique aspect of this book is the photographs scattered throughout, which the author tracked down and used to shape the story as he wrote it.... haunting and mysterious images that capture the tone and mood. As a kid, Jacob formed a special bond with his grandfather over his bizarre tales and photos of levitating girls and invisible boys. Now at 16, he is reeling from the old man's unexpected death. Then Jacob is given a mysterious letter that propels him on a journey to the remote Welsh island where his grandfather grew up. There, he finds the children from the photographs--alive and well--despite the islanders’ assertion that all were killed decades ago. As Jacob begins to unravel more about his grandfather’s childhood, he suspects he is being trailed by a monster only he can see. A haunting and out-of-the-ordinary read, debut author Ransom Rigg’s first-person narration is convincing and absorbing, and every detail he draws our eye to is deftly woven into an unforgettable whole. Interspersed with photos throughout, Miss Peregrine's Home for Peculiar Children is a truly atmospheric novel with plot twists, turns, and surprises that will delight readers of any age.